Hello SixPrizes readers! I am very excited to have a short break before Anaheim Regionals in mid-December. While I am very grateful to be able to attend every tournament, having to play the Latin American International Championships and then immediately play in the Roanoke Regional Championships was very stressful. Despite not being able to test and being pretty sick leading up to Roanoke, I was able to pick up my second Regionals win of the year with Gardevoir-GX! The deck was a ton of fun to play and is easily my favorite deck in the standard format. It has a ton of options, and is truly a powerhouse once set up. With that being said, my preferred format is still Expanded. I love all of the options that Expanded has, including but not limited to cards like N and Garbodor. I have yet to find a Garbodor deck that I feel comfortable playing in the current meta, and while I will definitely continue my search, I have found some decks that I really like. An updated version of everyone’s favorite deck, Zoroark Control, has been performing well in my testing thus far. Additionally, the powerful decks of the format, Archie’s Blastoise and Blacephalon-GX/Naganadel have impressed me thus far. Without any further delay, let’s kick things off with a look at the role Lost Thunder is playing in the Expanded format. While the new set did bring a lot of exciting cards, it mostly resulted in some techs being added to already well established decks. However, these techs have shaken up the meta quite a bit. Blacephaon-GX/Naganadel is really the only archetype we have gotten out of the new set, and it is a force to be reckoned with. This is easily the most influential card in Lost Thunder, even though it is just a supporter card. Due to Lusamine, Oranguru, and VS Seeker being cards, this card has completely eliminated some decks from contention. For instance, the Zoroark-GX/Seismitoad-EX deck that I won Portland regionals with is pretty much unplayable now. Any deck that uses Faba, and has a way to reuse it under item lock, will have a near auto win against it. Additionally, Faba is a great inclusion for decks to be able to handle Garbodor BKP. Previously, Xerosic would be the supporter of choice for doing that, and Faba is simply better than it. We should see some interesting combinations with this card at some upcoming Expanded events! I haven’t found anything too crazy myself, but the card pool is just too large for something not to exist. The card is already seeing play in Zoroark-GX decks, and I am not surprised at all. Even getting to splash Magcargo or Muk into your deck is worth the space, and it is a small consistency boost on top of that. Blacephalon-GX/Naganadel is the only archetype threatening Expanded thus far, and it is actually one of the decks that has impressed me the most. After seeing it do so well in standard, and seeing all of the tools it has in Expanded, I decided to give it a try. The deck remains ultra consistent, never struggling to get setup. The deck is able to hit for a ton of damage, and is way more reliable with it due to the addition of Blacksmith. However, the deck does have some of the same problems it has in Standard, such as struggling with the single prize attacker decks. The issue here is that they simply out-trade you because Naganadel is not enough to win the prize race, and there is not much you can add to the deck to help your chances. It is worth mentioning, though, that these single prize attacker decks are being phased out of the meta for the most part. I haven’t seen this come into play yet, and I certainly haven’t been messing around with it myself, but I think it is worth mentioning. The Expanded meta has always had some slow, controlling decks in it, such as Wailord-EX. These decks aim to run the opponent completely out of resources using Lusamine and disruption cards. Shuckle-GX has been performing quite well in Standard, making its way into a majority of Standard mill decks. It hasn’t had an opportunity to make its debut in these stall decks yet, but I am sure it will be a popular inclusion. Morty is an incredible inclusion in Trevenant BREAK decks. I say Trevenant just because it has been the dominant psychic type in Expanded, and I just haven’t found much of a use for Morty elsewhere. Not only does the Psychic type requirement limit Morty’s usage, but it also takes a special type of deck to incorporate Morty successfully. Trevenant is already a brutal deck, shutting off the opponent’s Items, and a well timed Morty can be game ending. I will look for other ways to exploit this card, but for right now, it is helping to break Trevenant. Despite this version of the deck not being focused on Seismitoad-EX, the singleton copy is still worth the inclusion. Quaking Punch can limit the opponent’s options in the late game, which can be crucial for decking them out. Stopping them from using VS Seeker is a very good example of this. Additionally, Seismitoad-EX is a very strong option in the early game. Simply using Quaking Punch on the first couple turns of the game is a great way to slow things down and ensure a strong setup. This is a card that is featured in pretty much every normal Zoroark Control list, but I figured I would discuss it due to its absence in my Portland decklist. In Portland, the focus on Seismitoad-EX made it harder for my opponents to get energy in play, so I didn’t feel the need to have Articuno around as a safety net. Against decks like Buzzwole and Blacephalon, where the opponent can end up overwhelming you by flooding the board with energy, Articuno ensures that things can’t get too out of control. Whenever that three-energy attacker makes its way to the active, just slow things down with a Cold Crush-GX and some sort of disruption Supporter. Ditto has already started to shake up the standard format a bit, allowing for some pretty creative deck building and card choices. In Expanded, with so many different Stage 1 options available, I certainly expect Ditto to make several appearances at upcoming events. 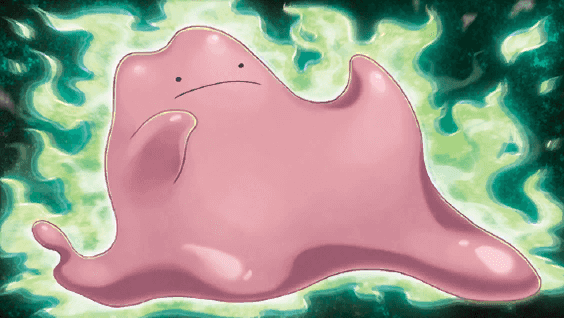 In this deck, Ditto is more of a consistency boost than anything else—Magcargo is not exactly groundbreaking technology. In games where you don’t use Brigette, having what is essentially an extra Zorua will help establish a solid board state. In a similar fashion, games where you prize a Zorua or two will be a lot more manageable because of this Ditto. When building this deck, Ditto felt like it was going to be a solid inclusion no matter what, so I started to think about my tech choices in relation to that. While some Pokémon felt like they would be good in select matchups, Magcargo felt like the only Pokémon that would bring value to the table every time it hits the field. Smooth over makes finding what you need a whole lot easier, especially at the end of the game when it shuffles around the cards you just put on the bottom with Resource Management. Yes, Magcargo has not been popular in the Expanded format in the past, but I think Ditto is exactly what it needed to make the cut. Faba is easily one of the most influential cards to come out of Lost Thunder, at least when it comes to the Expanded format. Faba makes some decks completely unplayable, such as Zoroark-GX/Seismitoad-EX Control, and makes other decks adjust their decklist quite a bit. A singleton Faba in whatever deck you may choose probably won’t do much, but slower Lusamine decks and Trevenant are welcoming Faba with open arms. Lusamine chaining the Faba is simply a guaranteed win against decks that aren’t prepared, such as Zoroark-GX/Garbodor. Trevenant is likely the greatest benefactor of the release of this card, as it has multiple uses for it and they help to fix some of Trevenant’s greatest weaknesses. For starters, getting to include multiple Faba makes it so that you have easy answers to Garbotoxin, which was a bit more of a struggle in the past. Additionally, since Trevenant has always played a high Enhanced Hammer count, Faba will only add upon that. This is the key to this version of the deck, as you are essentially just trying to run the opponent out of resources. If the opponent ever plays down their hand to three or less, you can force them to discard the rest of it and leave them in topdeck mode. In situations where your opponent doesn’t play down a bunch of cards, you can still use Delinquent in conjunction with Red Card as a way of disrupting the opponent. Unlike the old hand where they had more cards, they won’t have much of a choice when it comes to discarding three cards after the Red Card combo. This can lead to valuable resources hitting the discard, or leave them with a weak play for the turn. Your goal with this deck is to use Delinquent as much as possible—pretty much every turn that a different Supporter is not required. This is a staple in this deck at this point, you just have too many cards that you only play a single copy of. Since you usually don’t take many prize cards, this Gladion is your only real way of being able to grab whatever crucial card is prized. In a long tournament, I guarantee you that prizes with this deck will lose you multiple games if it weren’t for the inclusion of Gladion. This is a pretty situational card, and I currently have it in the deck because of the expected meta and what I have been testing against. Without Weakness Policy, fighting decks such as Buzzwole can give this deck problems because of how aggressive and efficient they are. Even an Oranguru becomes very difficult for the opponent to knock out once it has this Weakness Policy on it. If it seems like their might be a lack of Fighting decks at Anaheim, removing this card will be a change that I make to my list. This card is usually associated with decks that either attempt to deck the opponent out, or lock them out of the game completely. It has seen play in the past in decks like Sableye/Garbodor, and it operates pretty similarly in this deck. If you are able to discard the opponent’s entire hand with Delinquent, Trick Shovel is a great way to stop the opponent from getting to top deck a strong card and continue playing the game. When the opponent’s deck is getting thin, Trick Shovel is valuable in multiple ways. Obviously, using Trick Shovel twice each turn with the power of Dowsing Machine potentially allows you to just deck the opponent out. In a more realistic fashion, you could find a crucial card that the opponent has left and just discard it, which can be the difference between a win and a loss. While it is somewhat luck when attempting to navigate such a plan, you will attempt enough Trick Shovels to help your chances. This was a fantastic inclusion in the deck I played at Portland. The difference between these decks is the heavy focus on Delinquent when playing this deck. 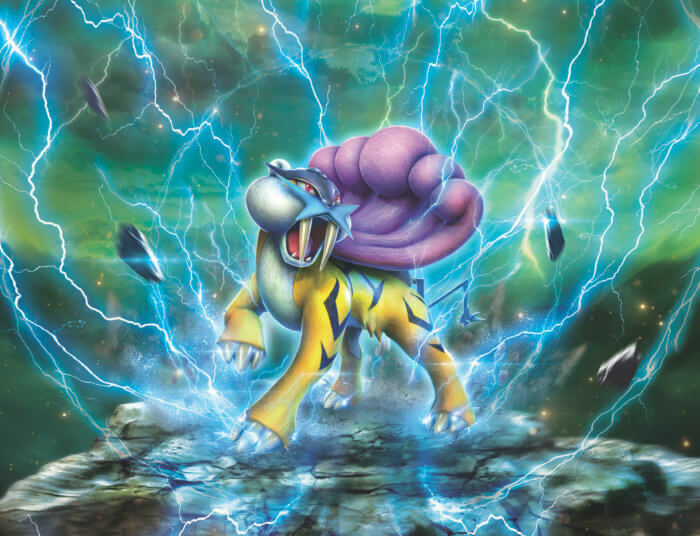 That being said, the card is incredibly strong against decks with low energy counts or decks like Blastoise that are reliant on having access to multiple energies. This is definitely a card that I want to try out before Anaheim, just because of the success I have had with it in the past. This deck certainly isn’t attacking in most matchups, but it does attack quite a bit when playing against Trevenant. Since that deck plays a lot of energy removal and puts you under Item lock, having four copies of Double Colorless Energy in your deck is going to be very strong. It really just depends on the expected meta, because this change is heavily reliant on the appearance of Trevenant. You can’t remove a basic energy from this deck due to Faba running around, so you would have to up the energy count to a whopping seven. These are the utility Pokémon of the deck, and they play an important role in ensuring a smooth game. Tapu Lele-GX and Shaymin-EX are used strictly as draw support, while Marshadow can be used as a form of disruption. Tapu Lele-GX can be used to grab a supporter whenever you don’t have one, and Shaymin-EX can be used when you need some extra reach to make a big play. Similarly, Marshadow can be used as a way of getting some extra reach on an important turn. More importantly, however, Marshadow provides a flexible disruption option that you would otherwise lack. You have N in the deck which is great for late game situations, but Marshadow can be used in a different manner. If your opponent has a big hand and you want to play a supporter other than N, you can play that supporter and still disrupt their hand with Marshadow. The key to this deck in Expanded. Honestly without this card, the deck probably wouldn’t be playable in Expanded. 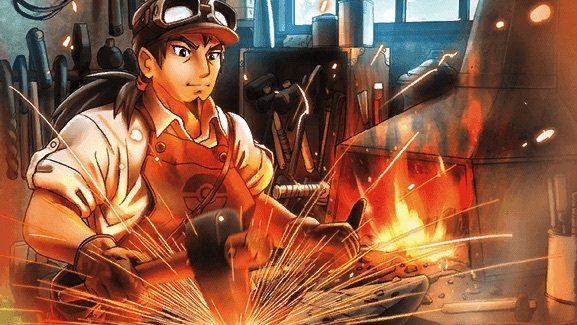 Blacksmith ensures that you will always have energy on Blacephaon-GX and be able to attack, and it boosts your damage output by putting extra energy in play. In the past, Blacksmith was used with attackers like Volcanion-EX and Turtonator-GX, which seemingly have a bit more synergy with Blacksmith because they don’t send energies to the lost zone. While that is true, Blacephalon is more concerned with the sheer number of energy it has in play, and Blacksmith still makes it much easier to continue attacking. This supporter is especially strong against decks that try to disrupt your energies, such as Zoroark Control or Lusamine decks. Unlike in standard, where you have to be careful about discarding too many energies due to a lack of recovery, Blacksmith allows you to go hog wild and start to flood the board with energies. These are the other supporters included in the deck, and by that I mean supporters that aren’t Blacksmith. Your main option once established is definitely Blacksmith, and you only deviate from that when forced to, or when you need to draw cards. Guzma is in the deck, but honestly I have hardly been using it in my games thus far. I have just been using Blacksmith, and then KOing what they have active. The other supporter options, Professor Sycamore, N, and Colress, are used as the draw support for the deck. Professor Sycamore is especially nice because it helps to thin your deck and discard things like Fire Energy, which sets you up for a couple Blacksmiths down the line. Colress is next in line as a draw supporter, it can still draw you cards while also helping to conserve resources. In certain situations, especially against decks playing Sky Field, Colress will end up being the better option. N is definitely a good way to draw cards in the early game, so it does serve as an extra draw supporter in that sense, but you will want to avoid using it consistently unless you want to disrupt the opponent. You don’t care too much about the extra damage against pretty much everything other than Zoroark-GX, so you would mainly be including this card for the HP boost it provides. I didn’t think that was too relevant when deciding on my list, so I didn’t include them. The health does seem pretty good in some situations, such as the mirror match, because they don’t have a good way of avoiding it. Against decks like Zoroark/Garbodor, though, they will burn through their deck with Shaymin-EX and Colress, allowing them to easily access their Field Blowers. This makes me think that these Fighting Fury Belts are pretty situational, and very dependent on the expected field. This card is a staple in the deck, turning single prize attacker matchups into a layup. You are a very fast deck, able to attack with Articuno on turn one, and you get to draw an extra prize for every knockout. You want to play two copies of it because it is a great starter, and you will want multiple copies of it when trading prizes. The deck doesn’t play great recovery options, but you can reuse Articuno through the use of Archie’s Ace in the Hole if needed. Speaking of one prize attackers, this is another excellent one. Not only does it have an incredible attack, but its ability can come in clutch in a variety of situations. Spreading twenty damage to all of the opponent’s bench is great, it makes taking KOs even easier than before, which helps to conserve resources. This is especially true if you are able to spread to their bench multiple times, weakening their bench quite a bit. As for the ability, I have found it to be very useful at the start of the game when you want to KO some small basic with Articuno. Additionally, the ability is another way to get a card out of your hand when attempting to pull of an Archie’s Ace in the Hole. On the other end of the spectrum, we have our heavy hitter, the answer to decks like Wailord-EX, Kingdra-GX! A card that I certainly didn’t expect to see in Blastoise decks at Portland, I definitely overlooked a gem. The card is absolutely worth a spot, and I could not stress that enough. It is good in so many matchups, and won’t get in your way when it isn’t as good because you can just Battle Compressor it away. Being able to do 250 damage for just five energy, with a Pokémon that has 230 HP, is just absolutely insane. It doesn’t even have a drawback, so it creates a massive threat for the opponent to deal with. This is a great energy recovery option because it can be reused with VS Seeker. In combination with Superior Energy Retrieval and some careful planning, you should pretty much never run out of energies before being able to draw your prize cards. Fisherman is especially strong in situations where you are item locked, such as against Seismitoad-EX or Trevenant BREAK. I have talked about this card quite a bit thus far, but I have to mention it again here. It is just such a strong card, and is a nice replacement for Xerosic in this deck. It outclasses Xerosic by lightyears, it is just so phenomenally better. Faba is a great way to deal with Garbotoxin, an otherwise crushing issue for this deck. Additionally, Faba can be used as a way of removing a crucial energy from an opposing benched Pokémon as you take a KO on their active. Faba can also be used to remove pesky stadiums from the game completely, such as Silent Lab. The card has a ton of versatility, and I see no reason not to include it in this deck. This is another heavy hitter, very strong against GX based decks such as Zoroark-GX. Kingdra-GX seems to fill the gap quite nicely, and makes Wishiwashi-GX feel a bit redundant. At the same time though, I did miss this quite a bit when I lost to a Zoroark-GX/Golisopod-GX deck at my League Cup. Wishiwashi-GX is a very efficient attacker, even outside of the sought after GX attack. Being able to do 220 damage and then get all of your energy out of harms way is incredibly powerful, especially because Wishiwashi-GX boasts a whopping 210 HP. On top of this, Wishiwashi’s Torrential Vortex attack, which does 120 damage and discards a special energy from their active Pokémon, can be a useful attack in certain situations. This Dragon Palkia-GX really only serves one purpose, which is giving you an attacker that is not weak to grass. It has a similar attack to Keldeo-EX, tacking on an additional ten damage. You also gain Zero Vanish-GX, but I am unsure of how important that actually is. With that being said, this card should likely be included if you expect a grass heavy meta. I would likely remove a Keldeo-EX for it because of how similar their attacks are. 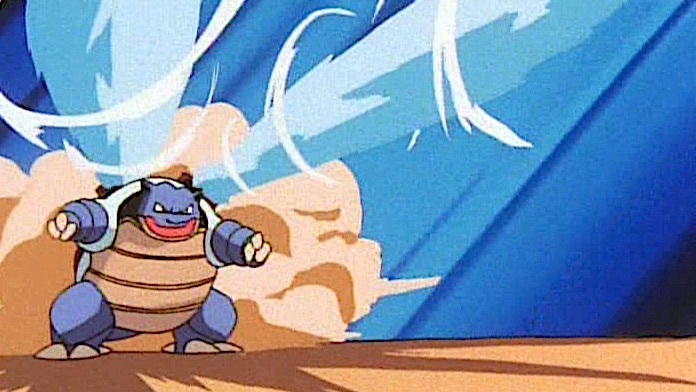 That Blastoise discussion will wrap up this article everyone. I hope that you found inspiration in this article, whether you like one of the decks I actually talked about, or feel like you have the perfect deck for the meta. I will be playing a ton between now and Anaheim, hoping to play as broken of a deck as I did at Portland Regionals. I hope to come up with a good Garbodor deck, as they tend to be my favorite decks in Expanded, but haven’t had any luck thus far. Anyways, if you will be at Anaheim, feel free to come up and say hi! Goodluck at any League Cups you might be attending, or enjoy your break if it is time to sleep in instead. See you next week with another article!